If passed, the vote would allow parliament to legislate for abortion. Health Minister Simon Harris has said in this case he would bring forward a proposal to permit abortion on request up to eight weeks’ gestation. 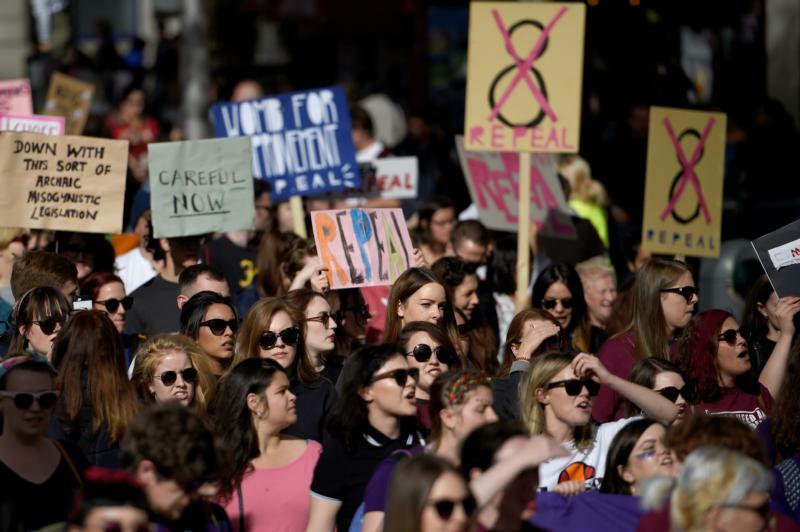 But Ireland’s leading pro-life advocacy group has warned that any dilution to the country’s constitutional protection for the unborn will inevitably lead to abortion on demand. Commenting after the government’s Jan. 29 announcement, Ruth Cullen, Pro Life Campaign spokeswoman, said, “It is a very sad and serious moment for our country. “The government brought forward a proposal that for the first time in our history would withdraw basic human rights from a group of vulnerable, defenseless individuals instead of strengthening their constitutional protections,” she said. She added that the government cannot disguise how its proposal is solely about stripping unborn babies of all meaningful legal protections. “The right to life is an inalienable right. It’s not something that can be conferred or withheld by the state at its pleasure. The Eighth Amendment acknowledges this basic right to life; it doesn’t claim to be its initiator — merely its protector,” she said. The language in question was added to the Irish Constitution in 1983 as an amendment and became Article 40.3.3. Cullen predicted that in the coming weeks, it will become clear that the government’s proposal would lead to abortion on demand if passed in the referendum. “As people come to realize this, I have every confidence they will vote to retain the Eighth Amendment with a renewed commitment to building a more welcoming society for expectant mothers and their unborn babies,” she said. The Irish Catholic Bishops’ Conference announced Jan. 29 that it would start circulating a weekly newsletter to parishes and religious communities ahead of the vote. According to a note from the Catholic Communications Office, the newsletter, Choose Life 2018, “promotes the church’s position on unborn human life and encourages family discussion on this important subject.” Parishes have been encouraged to distribute the newsletter with their weekly bulletin. Abortion is available in Ireland in limited circumstances under a controversial 2013 law that saw tense parliamentary debates and the resignation of several legislators who refused to back the change. Abortions are permitted when there is judged to be a substantial risk to the life of the mother, including when a woman says the continuation of the pregnancy leads to suicidal thoughts.